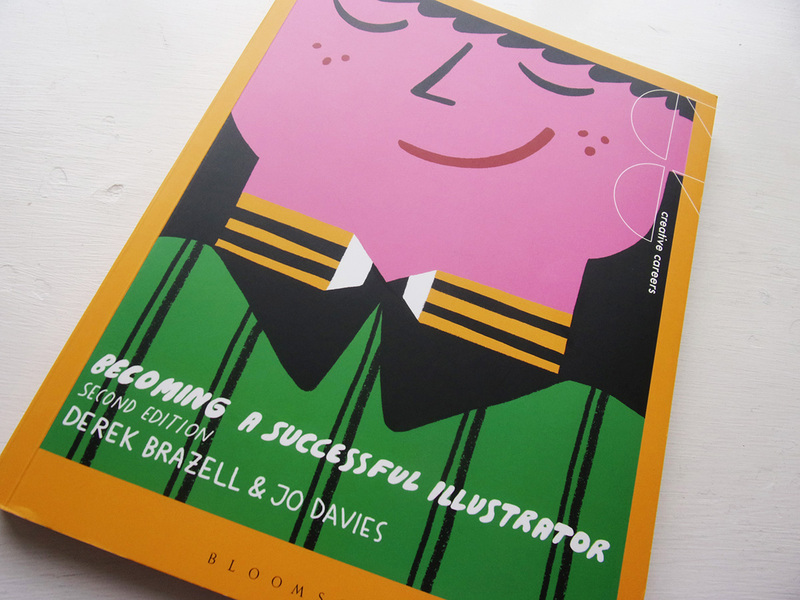 This is the updated second edition of Becoming a Successful Illustrator from authors Derek Brazell and Jo Davies, a great starting resource for new and aspiring illustrators, and a great refresher for the rest of us. 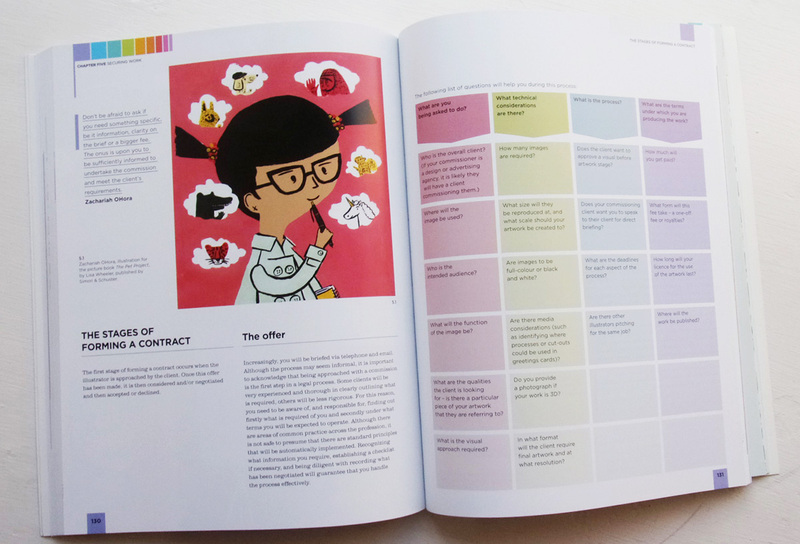 The six chapters provide guidance and advice on a wide range of topics, from identifying different illustration markets, finding and contacting commissioners and self-promotion, through to more practical matters that many of us dread but that are an essential part of any illustrators daily life, like finances and business management. The authors are both professional illustrators themselves, and it shows in the depth of knowledge provided. 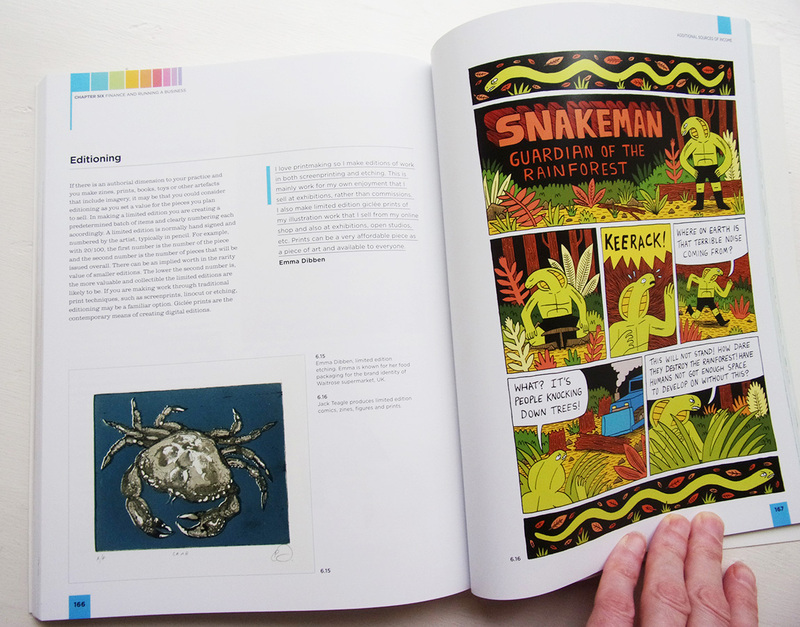 Peppered liberally throughout are spotlight features on practising professional illustrators, giving a chance for a more in-depth look on the topics being examined. I always love hearing about other people’s processes, techniques and experiences, how they got to where they are today, so I really appreciate the additional detail and background the spotlights provide. And it’s reassuring to know that other illustrators – who may have been practising for years – still struggle with similar issues when it comes to pricing, marketing, etc. as those who are newer to the industry. Towards the back of the book are a number of exercises, which are well worth working through if you’ve not done anything similar before. 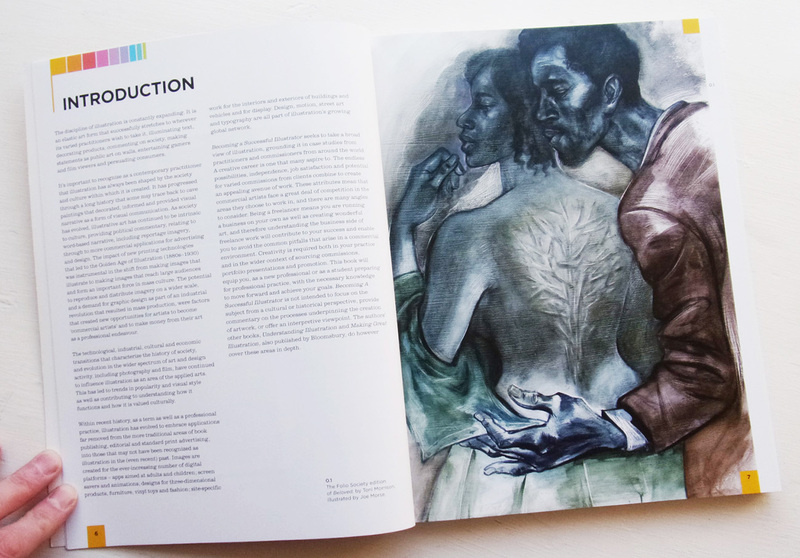 They provide a useful framework for making a plan of attack, arming yourself to tackle some of the big mental hurdles and of thinking of your illustration practice as what it is, a business. 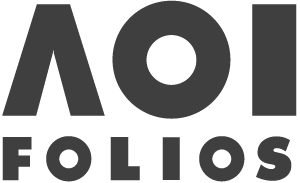 Getting your portfolio ready, creating (and then using) a marketing list, working out your costings and tackling briefs, and – to my mind – perhaps the biggest hurdle of them all, keeping the momentum going when things start to go in the right (or wrong) direction. 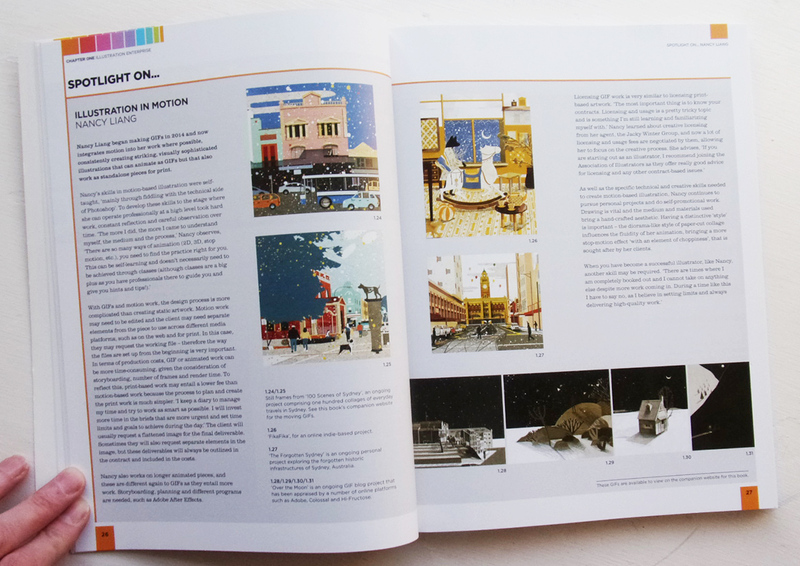 It’s also worth noting that there is a companion website to accompany the book that includes some additional exercises and spotlight features, as well as a selection of animated GIFs from some of the illustrators featured, all of which are well worth taking the time to download and have a look at. I haven’t read cover to cover, preferring to dip in and out of the different sections as questions spring to mind, but I found it to be an enjoyable and informative read, and one I’d recommend for anyone starting out in the field of professional illustration. As for myself, although I’m not starting out, in recent months I have found myself re-thinking and re-assessing some aspects of my practice, so it was good to get some sage advice and work through the exercises. In that sense, this is one of those books that is great to have ready on your shelf, to return to time and again when you need a bit of clarity or inspiration.